Why to choose us as your local Ealing electrician? If you're in the dark as to how to find a reliable experienced electrician in Ealing, West London, you'll be pleased to know that you have come to the right place. dkp Electrics are here to help by supplying you with a professional certified electrician. We can provide you with just about any service you can think of. Our aim is to get you the best price for the best quality service. Our expert team of dedicated electricians will always undertake all aspects of electrical work as quickly and efficiently as possible. All electrical work will be carried out by a qualified Ealings Electricians and to the highest standard. We can work with everything from Boilers, Outdoor lighting, kitchen and bathroom installations and underfloor heating to audio equipment or phone socket installations. Using our tailored knowledge of the industry, if it's a big project we are going to be working on, we will always discuss any ideas you may have initially and then suggest ways to help save you money. 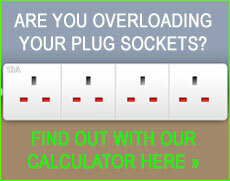 Our aim is to provide the most viable solution to your electrical project. By discussing what you want first, this enables us to calculate the most accurate quotation so you don't get any unpleasant surprises when it comes to your quote. We have Ealings Electricians on call 24 hours a day who are very reliable particularly in an electrical emergency or even just for a general maintenance problem that needs to be fixed. With dkp there is no need to panic as you're only one phone call away from a necessary electrical job being completed quickly and professionally, at your home or other premises. All electricians at dkp Electrics are completely NICEIC registered which means we can assure you that the level of electrical service and workmanship will be of the highest possible standard. What's more is that we always comply with all required health and safety standards and regulations. So if you look into the services of dkp Electrics you can be sure you've made a reliable choice, you can also count on our professional, friendly and affordable service from beginning to end. We always try to ensure we cause the least possible amount of noise disruption and that we leave your home or workplace in the great condition we found it in after we finish a job. Whatever your electrical needs maybe, contact dkp Electrics to book your qualified and helpful electrician in Ealing, West London today.